After staying up last night with our Meiji peers to make sure our presentations were as coherent and concise as possible, it was finally time to head out to the destination we have been anticipating- Lake Yamanaka! With our luggage filled with clothes and the various omiyage (gifts) that we have picked up whilst exploring Tokyo, we headed to the Meiji University campus, the gathering point for our bus ride. 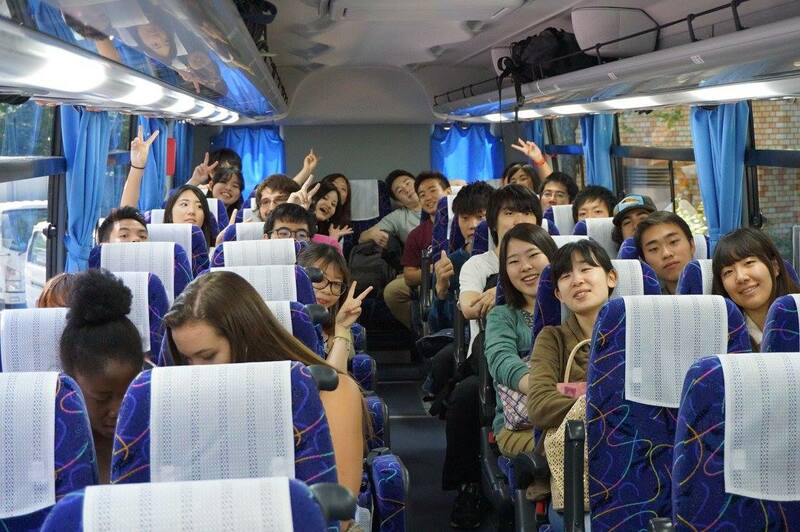 Each of us sat next to the Meiji students during the bus ride, in order to continue our cross-cultural conversations! This was a great opportunity to ask the Japanese residents questions we have about the culture. I sat next to one of my partners, Leon, who I had an interesting conversation about popular music with. Apparently Ariana Grande, Justin Bieber, Katy Perry and One-Direction are the most popular American artists in Japan. I must admit, I was disappointed that my partner had never heard of Drake. A joint picture of us and the Meiji Students throwing up those fight-on signs. During the ride, we were able to enjoy breathtaking views of the beautiful landscapes. I was in awe of how quickly we went from being in a metropolitan setting to a scenic mountain range countryside. 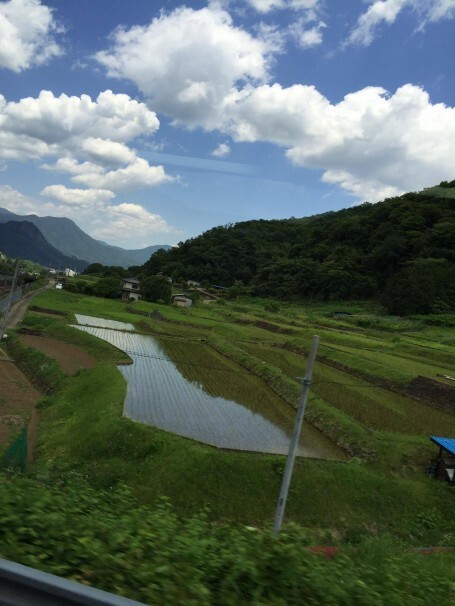 Many of us crowded the bus windows to take pictures of the small rice-farming towns encapsulated by never ending hills of green (I created a photo album simply dedicated to the landscape pictures I took). The picture speaks for itself. Amazing. 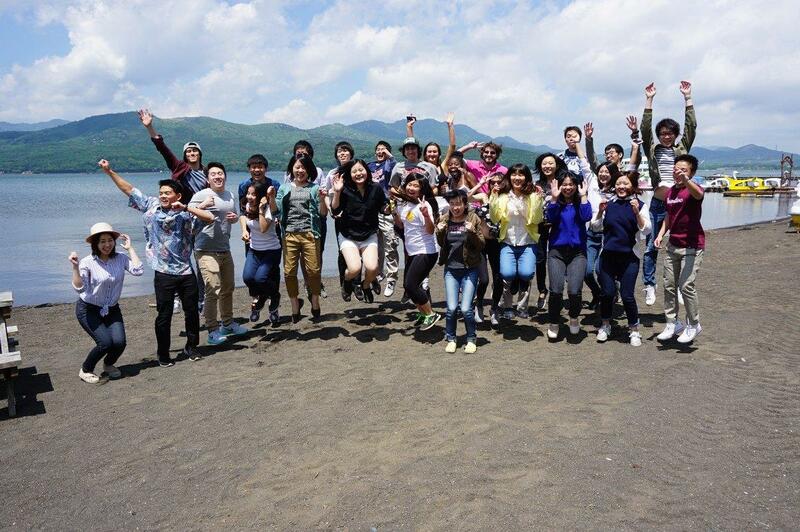 Before settling at the retreat house hosting us for the weekend, we took a quick stop at a lakefront to take a group photo at Lake Yamanaka! It was great to experience a view that many of us have been “googling” for weeks now! After taking 358912 photos and our knees were throbbing from jump-action photos, we arrived at the retreat house. There was free time before we had our first set of presentations, so we enjoyed a variety of outdoor activities. Some of us went back to enjoy the lake view, while many took advantage of the sporting equipment. Fired up table-tennis matches carried on until the end of our stay there…and lets just say some of the people that seemed inexperienced were the most competitive (Laurie). Probably one of our best jump-action shots. Of course I had to show off my hops. Not long after, we had our first set of presentations via Tiffany and Jordan. 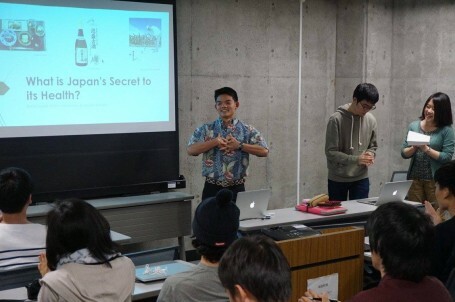 Assisted by the Meiji students, we had thought-provoking presentations; one on discovering Japanese identity through analyzing a popular cultural character Doraemon, and another contrasting American and Japanese diets, attending to the western perception that the Japanese are immensely healthy and long-living. After Tiffany and Jordan finished, we had a discussion facilitated by Lon-sensei, where we addressed our questions and elaborations. The always Hawaii-reppin’ Jordan teaching us the about Japanese diet. Afterwards, we had a delicious dinner, and were able to take part in karaoke and shodō (calligraphy), where Meiji Students taught us how to write our names in Japanese with traditional strokes. Since the karaoke machine was pretty outdated, we were stuck hearing Erick sing “Zombie” by the Cranberries on repeat…. 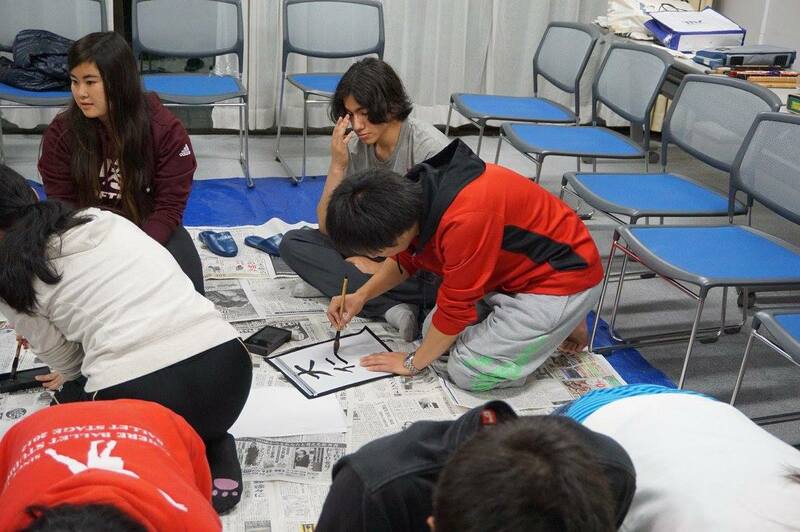 With music and good company lasting the whole night, our first day at Lake Yamanaka is one we will never forget! Mood after 10 practice sheets and still not getting my shodō down. 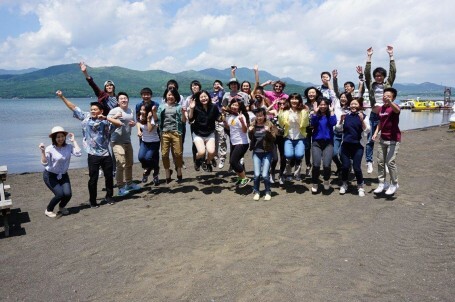 This entry was posted in Class, Exploring, Yamanaka Lake by geajapan. Bookmark the permalink.